CHANGE of BIW Meeting Date! New ingredients and new modalities for sun care are becoming more available every day, so new products and testing methods are required to understand how these ingredients interact not only with our skin, but also with different conditions of sun and water exposure and how they address newly discovered types of UV radiation while remaining eco-friendly. These challenges will be addressed by our April Speaker, Chris Birchy. For more information, an overview of recent regulatory changes at both the State & Federal levels for Sun Care will be presented in the BIW June 12th FDA Regulatory Update Meeting. According to Chris Birchby, CEO and Chief Eco-Entrepreneur of COOLA Suncare, a Takayama long board helped guide him on a cross-country adventure that culminated in the creation of one of the most exciting skin care companies in the nation. Following his degree at Lafayette College in Easton, PA, Chris headed West in 1998 with the long board he purchased in Long Island and pursued new horizons in Southern California. While working toward his MFA at Pasadena’s Art Center for Design, Chris was enjoying surfing and discovering organic foods. In an unexpected development, both of Birchby’s parents were diagnosed with melanoma; and fortunately were treated quickly and fully recovered, but the experience was a real eye opener about the serious risks of bad sun habits. 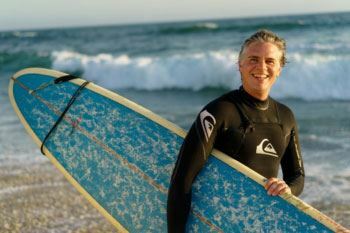 Chris viewed the beach and surfing as a key component of today’s outdoor lifestyle, and these personal life experiences, combined with his passion for hard-working, natural and sustainable ingredients, led him to the launch COOLA Suncare in 2007. Positioned as a skin care company focused on sun protection via healthy, organic, eco-friendly ingredients, COOLA’s early growth came from the resort and spa niche market, which proved to be the perfect place to launch this unique brand. In 2015, COOLA received the coveted Eco-Beauty Award from CEW, and as they garnered more and more media attention, their customer base has expanded along with the company.. Their tremendous growth and continual expansion led COOLA to move to new headquarters in Carlsbad, California, where. they continue to expand their reach with their radical, new approach to sun protection that is sure to win over new users from clusters of eco-friendly, action-sports, and active-lifestyle consumers around the globe. This is a don’t miss presentation about just how creative skin care can be. Tucker Ellis LLC provides a wide range of legal services to clients in cosmetics, personal care, food, beverage, and dietary supplements, including manufacturers, distributors, online and brick-and-mortar retailers. We provide regulatory and business services to ensure compliance with state advertising laws and statutes and regulations enforced by the Federal Food and Drug Administration (FDA), the Federal Trade Commission (FTC), and other regulatory agencies. We also conduct advertising claim substantiation and labeling reviews to ensure compliance. Our trial attorneys defend clients in nationwide consumer class actions asserting misbranding, false advertising, and product labeling claims under consumer protection statutes, unfair business competition and false advertising laws, the California Consumer Legal Remedies Act, and the Lanham Act. We also represent clients in disputes with vendors, customers, landlords, and other commercial entities, and we counsel clients on pre-litigation avoidance strategies. Our corporate and business attorneys work with public and private companies, both established and start-ups, including formation, finance and growth capital, commercial contracts, distribution contracts, and licensing agreements, M&A and divestitures, real estate, tax, labor and employment. We regularly advise company management and boards on corporate governance and legal compliance matters, and we have extensive experience protecting our clients’ intellectual property rights; we can assist in licensing, monetizing, and selling clients’ intellectual property.